Hotel REITs offer some of the highest dividend yields in the stock market. Their current dividend payments represent yields in the range of 3.8 percent to 7.8 percent. By comparison, the average dividend yield of all stocks in the Dow Jones Industrial Average is currently about 2.7 percent. 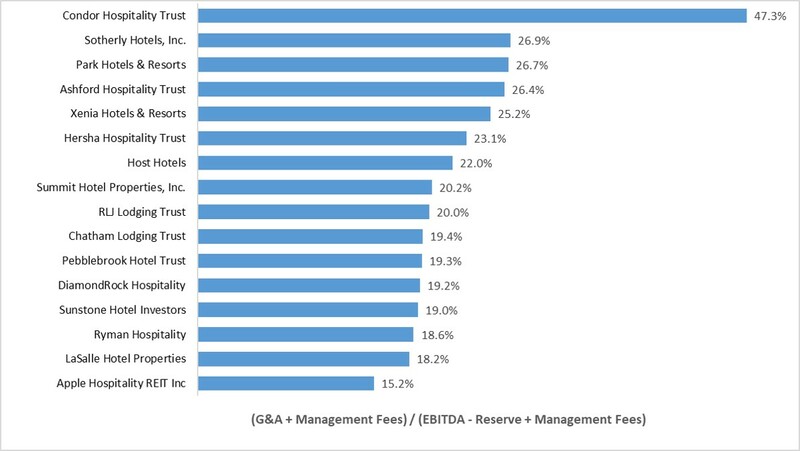 Condor Hospitality Trust (CDOR) and Ashford Hospitality Trust (AHT) offer the highest dividend yields in our study, with recent dividend yields of about 7.8 percent and 7.4 percent, respectively. Chatham Lodging Trust (CLDT), Apple Hospitality REIT (APLE), RLJ Lodging Trust (RLJ), Sotherly Hotels (SOHO), and Park Hotels & Resorts (PK) all offer current dividend yields above 6.5 percent. 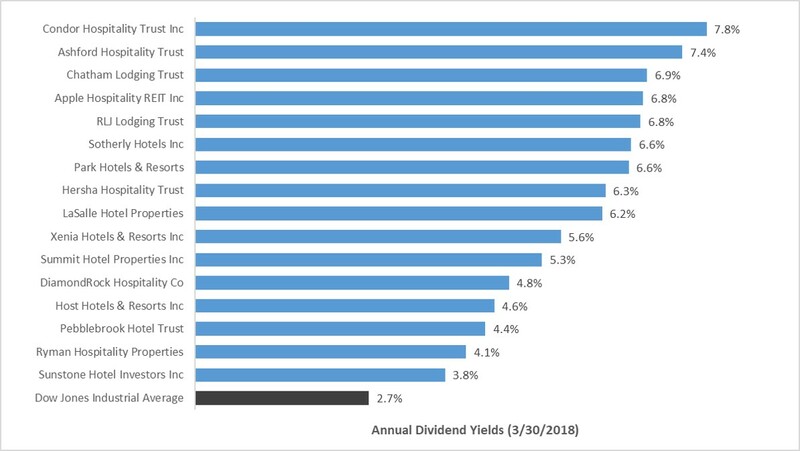 Everything else being equal, one would expect REITs with higher dividend yields to have higher earning potential relative to their stock prices and market capitalizations. Additionally, one might expect REITs offering lower dividend yields to produce higher capital gains. But everything else is not always equal, which leads to our next topic. Three of the REITs we monitor achieved aggregated operating margins of more than 30.0 percent across their entire hotel portfolios. 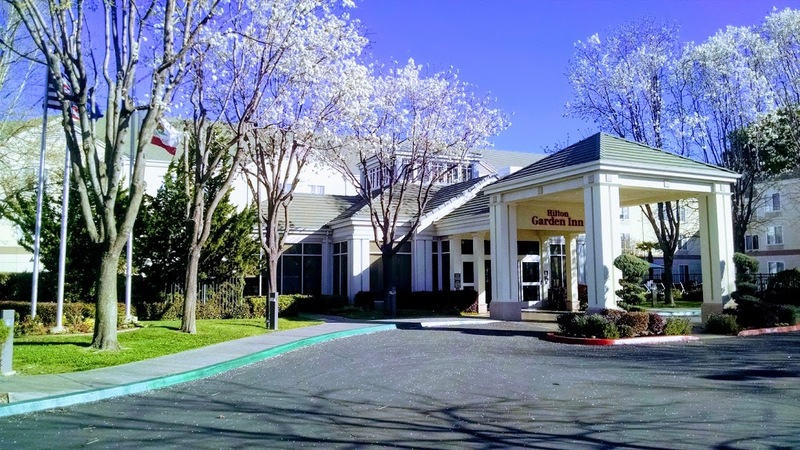 These three REITs – Chatham Lodging Trust (CLDT), Apple Hospitality REIT Inc. (APLE), and Summit Hotel Properties, Inc. (INN) – all focus on select-service hotels, primarily in the upscale chain scale. Most of the REITs that have lower earnings ratios focus on full-service hotels in the upper-upscale and luxury chain scales. The figures discussed throughout this article can vary from year to year. 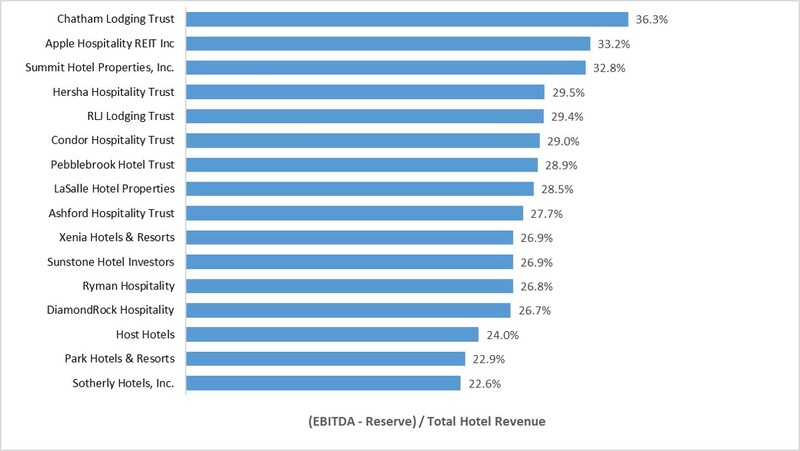 However, all else equal, investors may generally prefer to gain exposure to hotel portfolios with higher operating profit margins and lower management and corporate overhead expenses. Some investors may also be attracted to certain hotel REIT stocks due to the relatively high dividend yields they pay. Our Hotel REIT Tracker shows real-time stock prices and summarizes how each REIT ranks on the three metrics discussed in this article. This report is intended for discussion purposes only and is not intended to be construed as investment advice. If you would like to source this article, please contact the author for permission.